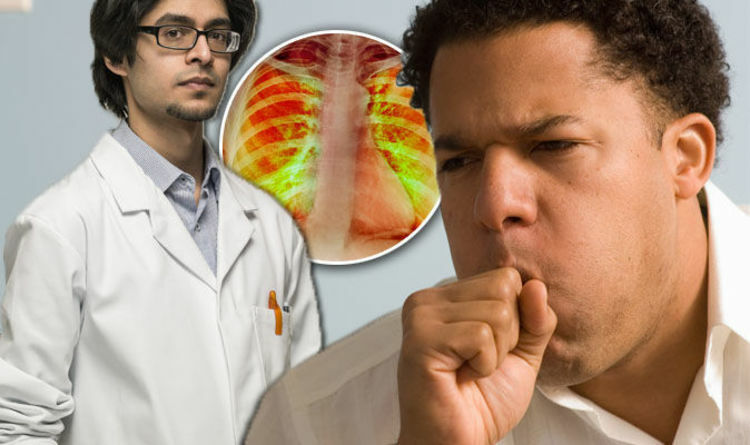 Having a cough that won’t go away might be a sign of lung cancer, according to Cancer Research UK. Signs and symptoms of the cancer are difficult to spot during its early stages. But, you should see a GP if you show signs of a persistent cough, the NHS said. “You might have a cough most of the time. It might be worse at different times of the day,” said Cancer Research UK. You should also see a doctor if the cough you’ve had for a long time suddenly changes. “Your cough might be more painful, have a different sound, or bring up coloured mucus or phlegm. Other signs of lung cancer include persistent breathlessness, unexplained tiredness or weight loss. See a GP if you also have an ache or pain while breathing. Treating lung cancer depends on how far it’s spread, and how good your general health is. Surgery could remove the affected area, if the cancer is diagnosed early enough. One in three people with lung cancer live for at least a year after their condition is diagnosed. About five per cent of people live at least 10 years after diagnosis. About 44,500 people are diagnosed with the cancer every year in the UK. Those most at risk of developing lung cancer are those aged between 70 and 74.